The European Network of (Ex-)Users and Survivors of Psychiatry (ENUSP)1 and Mental Health Europe (MHE)2 seize the opportunity provided by the plenary session of the Bioethics Committee to express our deep concern at the planned continued drafting of this “Draft Additional Protocol to the Oviedo Convention on Human Rights and Biomedicine concerning the protection of human rights and dignity of persons with mental disorders with regard to involuntary placement and treatment”. 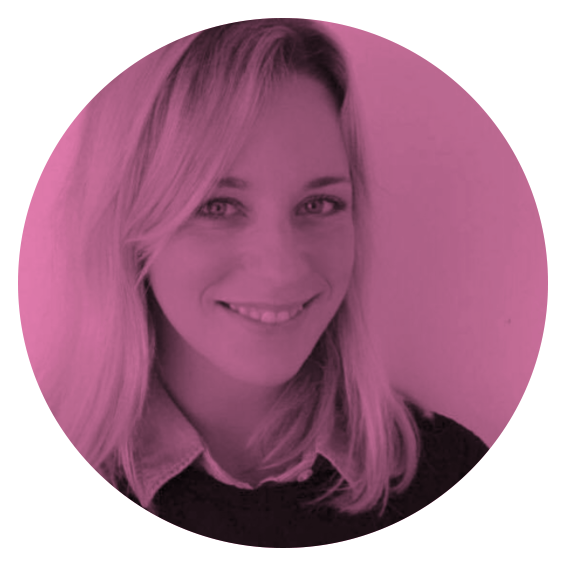 Our organisations have expertise and experience in the field of mental health and represent direct stakeholders, including persons with lived experience of such measures. We regret that in earlier stages of planning we were not meaningfully consulted by the Committee on Bioethics, and that our input provided for the public consultation in 2015 appears to have been ignored. We recall that all States in the Council of Europe have ratified or signed the United Nations Convention on the Rights of Persons with Disabilities (UN CRPD) and are therefore bound by it. Signatory parties to UN CRPD, such as Monaco and Ireland, are bound to refrain from acts that would defeat the object and purpose of the treaty. The Draft Additional Protocol to the Oviedo Convention runs contrary to the UN CRPD in both its object and purpose in every provision that refers to and legitimizes the use of involuntary treatment and placement on the basis of disability. ENUSP and MHE emphasize once more that there is a fundamental difference between coercion and care, and the references to the claimed beneficence of involuntary placement and treatment are outdated and are increasingly contradicted by a growing body of evidence. Coercion causes more psychosocial harm, exclusion, and isolation, which increases the risk of new or additional problems and does not contribute to safe or healthy communities. Detention because of a mental health problem or psychosocial disability, a restriction in itself, is regularly accompanied by intrusive and involuntary medical interventions such as forced drugging, forced electroshock (ECT), restraint and solitary confinement. Such interventions constitute discriminatory and harmful practices that cause severe pain and suffering, as well as deep fear and trauma in its victims and in certain cases, constitute ill-treatment and even torture. The Additional Protocol is discriminatory as it applies arbitrary detention and non-consensual interventions specifically to persons with psychosocial disabilities. We are disappointed that the draft of the Additional Protocol continues to advance a purely bio-medical understanding of mental health. Stigmatising views and discriminatory terminology regarding psychosocial disabilities remain present. The Draft Additional Protocol does not address the needs of the persons and communities concerned as well as major problems in the provision of mental health care, including the unreliability of international diagnostics and treatment directives, the trauma and harm that can result from forced treatment and placement, nor does it install any form of remedy or redress for arbitrary detention and violation of the right to bodily integrity and to refuse medical treatment, which would be required under the OHCHR basic guidelines and principles regarding gross and systemic violation of human rights3. The suggested criteria and procedures in the Draft Additional Protocol for involuntary placement and treatment conflate the concepts of care and confinement and authorize deprivation of liberty based on psychosocial disabilities combined with other criteria, such as the presumptive risk of serious harm to self or others. Besides being discriminatory, such criteria for deprivation of liberty also contain the paradox of applying detention regimes and treatments that cause serious harm for the purpose of preventing speculative and hypothetical harm in the future. Regional human rights standards should neither undermine nor be in conflict with international human rights standards. Considered within the modern context, the Additional Protocol could be perceived as an attempt at overriding the high standards set by the UN CRPD which would allow States to maintain the status quo, while also legitimising mental health systems which continue to act as a backdrop to pervasive human rights violations and abuses. The potential creation of competing, regressive and contradictory human rights standards at the European and International levels would create conflicting standards for States Parties, and hinder reform rather than contribute to positive changes and support those already underway. Our organizations find it hard to believe that the drafting process for this Protocol continues given the overwhelmingly negative response to the consultation from key actors in the field, including those from persons with lived experience and other experts such as the Commissioner for Human Rights of the Council of Europe, the Special Rapporteur on the rights of persons with disabilities, the UN Office of the High Commissioner for Human Rights, as well as the decision taken by the Parliamentary Assembly of the Council of Europe itself asking the Bioethics Committee to withdraw the Draft Additional Protocol. As direct stakeholders, we further regret the lack of meaningful involvement of relevant disabled persons’ organizations in the planning and drafting of this document. Any qualitative consultation on human rights should involve and empower all stakeholders concerned and above all take into account the voices of those directly concerned. The deficient consultation process for this Draft Additional Protocol is further illustrated by the fact that only 3 organisations from civil society have been invited to this plenary session, and it is only due to the courtesy of the European Disability Forum (EDF) which kindly included us in its delegation, and our own efforts with fundraising that enabled us, persons directly affected, to participate in this session at our own expense. Consequently, we request that the Bioethics Committee ensure meaningfully consultation with relevant disabled persons’ organisations and other relevant stakeholders when discussing issues regarding the rights of persons with psychosocial disabilities, and envisage both invitations to the organizations concerned and coverage of travel and accommodation expenses for these stakeholders. Instead of seeking ways to legitimize “involuntary mental health care”, the Committee on Bioethics is in a position to support the creation of a variety of options for support in the community which respect the will and preferences and are based on the free and informed consent of the person concerned. Viable alternative systems of support, aligned with the UN CRPD, exist such as the Swedish Personal Ombudsman, Intentional Peer Support (IPS), WRAP (Wellness Recovery Action Plan), Family Group Conferencing, Open Dialogue, Soteria houses, peer-run respite-houses, community support etc. Our organisations remain available for further information on these systems. In addition, we concur with several other responses to the consultation on the previous draft – it would be more beneficial for the Bioethics Committee to work towards the development of Guidelines for its Member States which are aligned with the UN CRPD. Our European dream is a Europe that is a true champion in the realization of human rights, and we can only encourage the Council of Europe to show leadership in the promotion of universal human rights in line with core UN treaties. The European Network of (Ex-)Users and Survivors of Psychiatry (ENUSP) was founded in 1990 and is the only independent organization of its kind in Europe – self-governed by people with psychiatric experience only and providing (ex-)users and survivors of psychiatry a means of direct democratic representation. The purpose of ENUSP is to constitute a European forum for the voice of (ex-)users and survivors of psychiatry to promote, defend and protect our rights and interests. 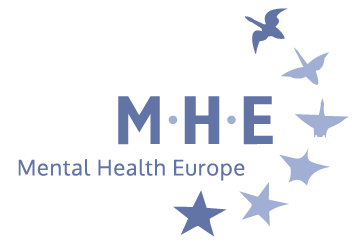 2Mental Health Europe (MHE) is the largest European non-governmental network organisation committed to the promotion of positive mental health, the prevention of mental distress, the improvement of care, advocacy for social inclusion and the protection of human rights for (ex)users of mental health services, their families and carers. MHE’s membership includes associations and individuals active in the field of mental health in Europe, including people with lived experience of mental ill-health, as well as volunteers and professionals in a variety of related disciplines. see Article 5(4) ECHR, case Stanev v. Bulgaria and Shtukaturov v. Russia.